These five trains are- Kamakhya-Lokmanya Tilak Express, Kamakhya-Gandhidham Express, Bangalore- New Tinsukia Express, Kamakhya-Anand Vihar Express and Kamakhya-Gaya Express. The Northeast Frontier Railway (NFR) has converted five passenger carrying trains to Linke Hofmann Busch (LHB) type coaches this year. Also, two more trains that will be converted to LHB type coaches this year include the New Jalpaiguri-New Delhi Express and Guwahati-Anand Vihar Northeast Express. Six more trains will be converted to LHB type in 2019-20 and another four trains will also be converted into LHB type in 2020-21. LHB coaches are the passenger coaches of Indian Railways developed by Linke-Hofmann-Bosch of Germany and mostly produced by Rail Coach Factory at Kapurthala in Punjab. 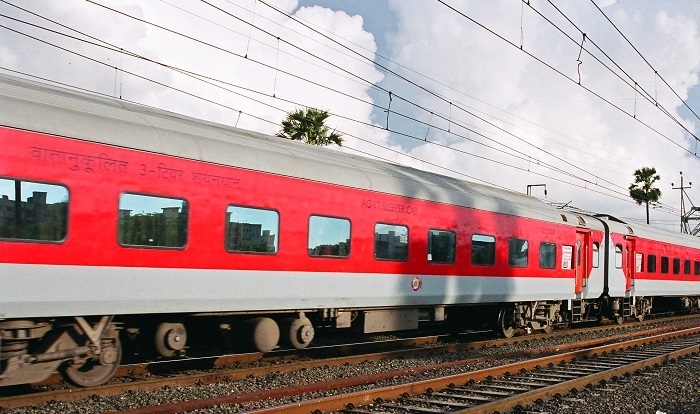 Till now, LHB coaches were generally found in premium trains like Rajdhani and Shatabdi. LHB coaches are lightweight and have higher passenger carrying capacity, higher speed potential, better safety features and anti-climbing features so that in case of a collision, the coaches do not climb on top of each other. Also these coaches are less costly, highly noise proof and have better air-conditioning facilities.